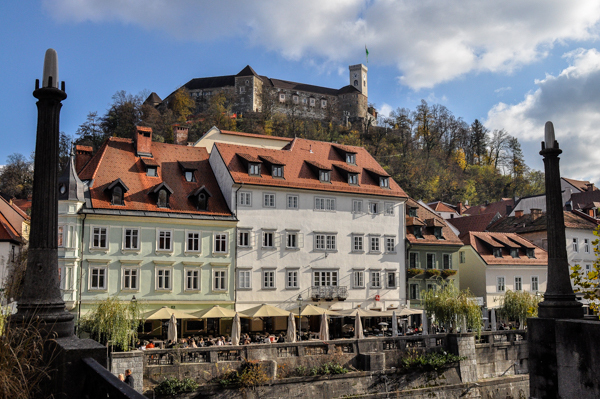 Slovenian coast may be short but it is very scenic, charming and culturally rich. 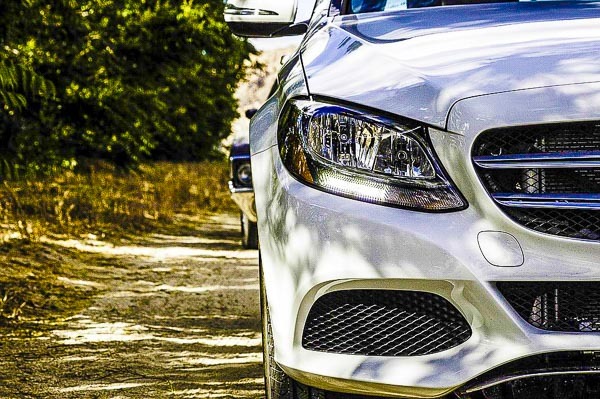 Lose your way in tiny streets and squares of ancient mediterranean towns, visit olive orchards and small stone made villages, indulge in culinary delights or simply enjoy the beach and freshness of the Adriatic Sea. A cosy, charming town full of Venetian style with a plethora of restaurants right along the seafront. The fortifications around the town resemble a castle and offer a spectacular view of the town and its bay. Parking in the town is impossible and you will have to park your car in a parking house before you reach the town. There is a free bus connecting parking facilities with the center of Piran. There are buses connecting Piran and Ljubljana couple of times per day. They are more frequent in summer months. Check the bus timetable. In case you miss the last one and you have to find a hotel in Piran, we offer secure online reservation. 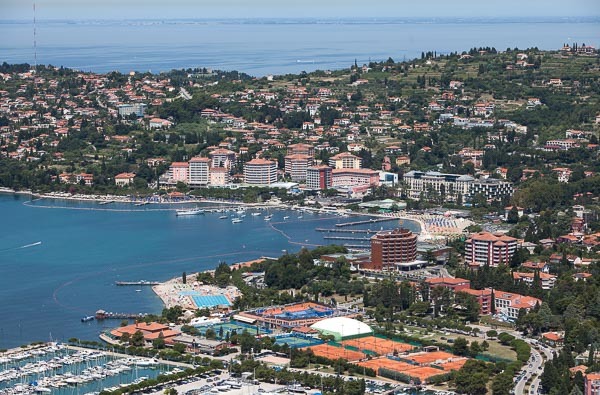 A high-end summer resort, Portoroz is the most vivid beach resort on the Slovenian Adriatic coast. 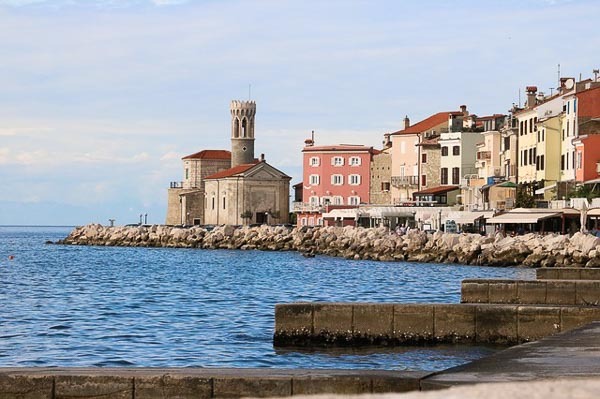 Loaded with modern hotels and giant casinos right next to its sandy beaches, the town lacks the Venetian atmosphere of Piran or Izola. Public intercity buses connect Ljubljana and Portoroz several times a day, less frequently outside the high tourist season. There is a small international airport offering charter flights. There are the luxury, mid-range and budget hotels in Portoroz. You can also find hostels and apartments. Traditional manual gathering of salt in salt fields is a special constituant of the cultural heritage of the Mediterranean Slovenia. The coastal Secovlje wetland with wide variety of bird species, has been used for salt production for more than 700 years. Same techniques are still used today and if you are lucky to be there at the right time, you can observe salt gatherers at their work. There is an entrance fee to enter Secovlje Salina Nature Park and is accessible for individuals or groups. Guided tours are provided as well but are feasable by prior notice only. If you`re not among the fittest, an electric train can take you around the salt fields. You will find them if you follow the road from Portoroz towards Croatian border. This is a small but cosy and quiet old fishing town with a pleasant coastal walk. 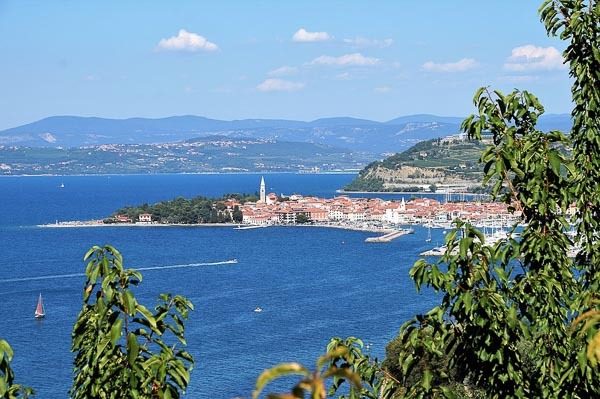 Izola has an extensive marina and is preferred by more mature and family holiday makers. Numerous traditional festivals and events take place in Izola. There is an Orange Wine Festival in April for example, Isola Cinema Festival at the beginning of June, Fishermen`s Festival happening in August, Festival of Olive Oil, Wine and Fish etc. In case you do not have your own car the easiest way to get to Izola from Ljubljana is to take a bus from the main Ljubljana Bus Station. For online hotel reservation visit Hotels in Izola. 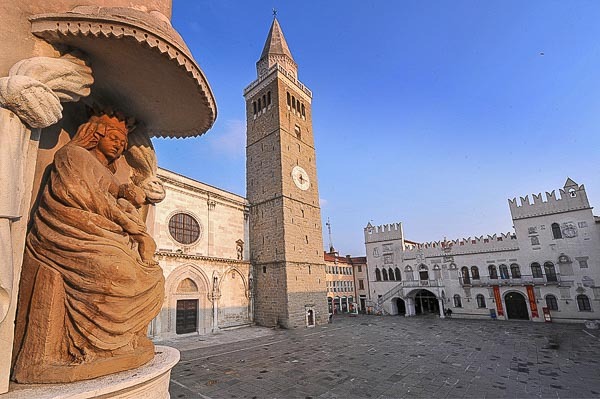 Koper is the biggest town on the Slovenian coast and also the biggest port of the Northern Adriatic. It may seem a bit unappealing in the industrial suburbs but the closer you get to the centre the more beautiful it gets. Its medieval Venetian style old town with narrow streets, squares, old churches and palaces is definitely worth walking, seeing and getting lost in. In case you get enough of a city and beach ambience, we recommend an escape to the hilly hinterland of the coast to rest your eyes on olive nurseries, vineyards and picturesque stone made villages. You may also hit upon a local farm, a wine cellar, olive oil producer or cheese and prsut maker to spoil your taste buds. You can reach city of Koper from Ljubljana or by train or by bus. For online hotel reservation visit Hotels in Koper.